Grapple. 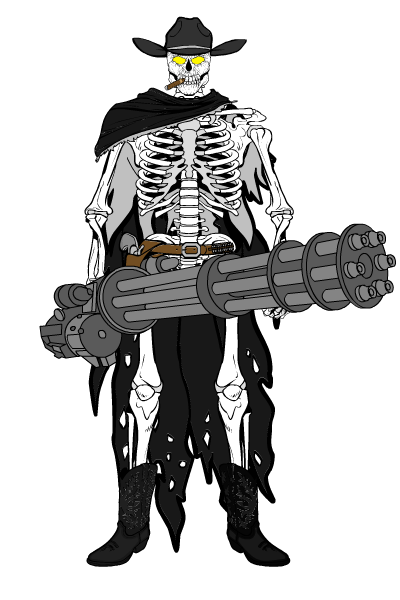 A member of the mysterious group of villains, the Millennial Horde. 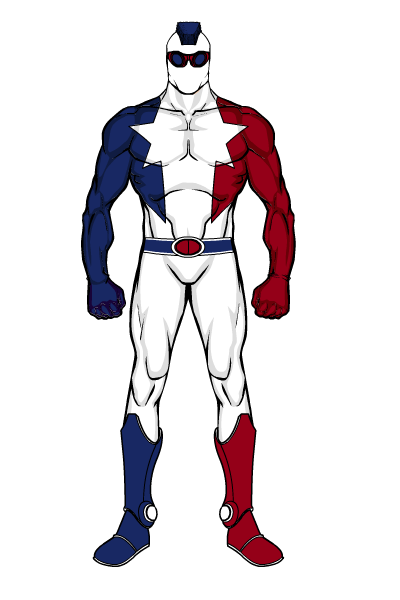 The origin of Grapple, like all of his compatriots, is unclear but what is known is that they appear to be from the future. They seem to have come to this time to stop one key event from happening and have targeted the Squadron Prime, but for what purpose is not known. 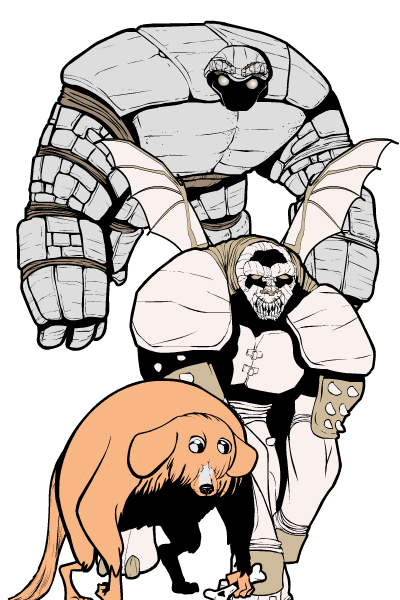 Grapple is a cybernetic human whose limbs can grapple onto any object. His hands and feet can be projected similar to grappling hooks. Grapple can also interface with any electronic system. Guardsman. Paul Mason. Leader of the Squadron Prime. Brother of Vanguard. Love interest of Lady Luck. Trained by the Delegate. Gust. Leslie Michelle. Limited wind manipulation. Uses fan blades to hurl gusts of wins at foes. Haliya. 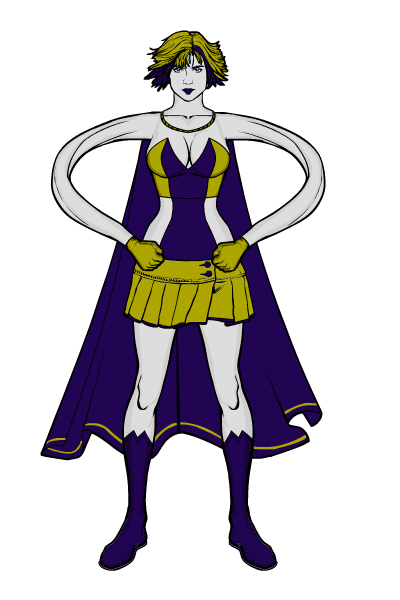 A mysterious alien hero. Member of the Angels. 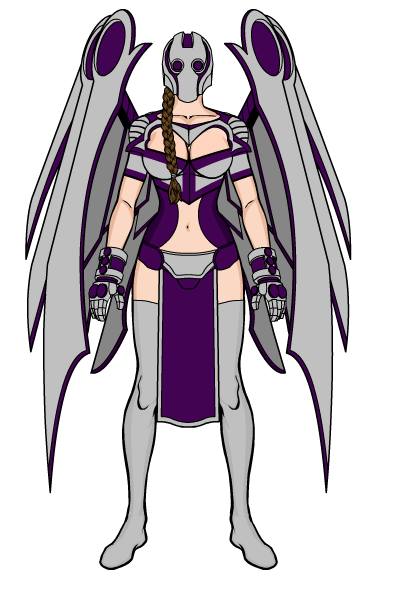 Cousin of Aviana, Ettia and Tania. Crush interest of Globalboy. Heartbreaker. Allie Jansen. Pheromone control. Hellhound. One of the mysterious Elementals. 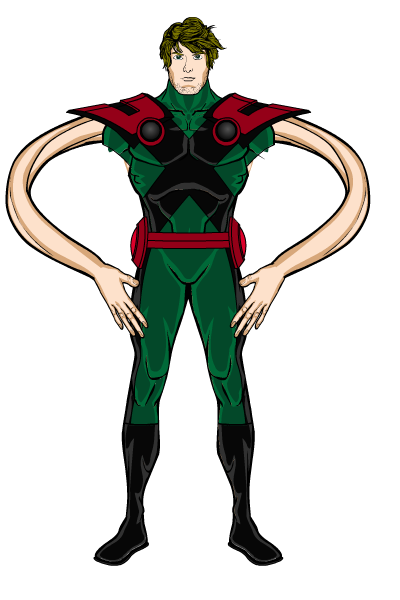 Flamebody. Feral senses. Highjump. Melody Hardy. 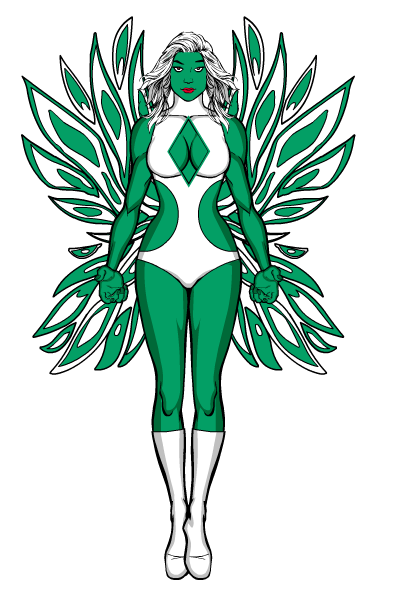 Mutant-strong strong leg muscles allow her to jump so high and far that it appears she is flying. Other benefits include powerful kicks and super speed for short distances. Member of the Heroes of Tomorrow. Howler. John Jones. Lupine abilities. Enhanced senses, agility, speed. Wolf-like sonic howl. Hydrallix. Member of the Millennial Horde. Water-based technological powers. 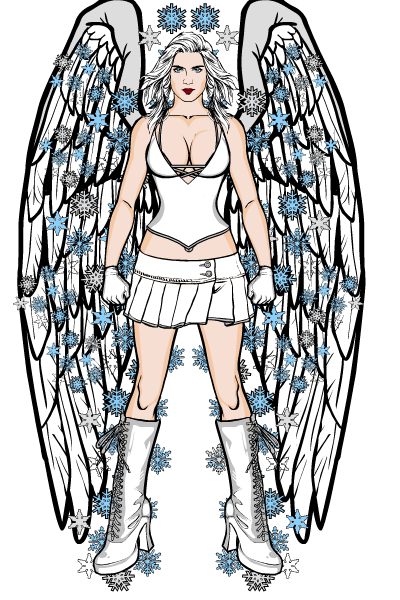 Icechick. Robyn Frost. She controls ice and stuff. Like Iceman. But a chick. Member of the New Force. Icerunner. Rie Asaoka. 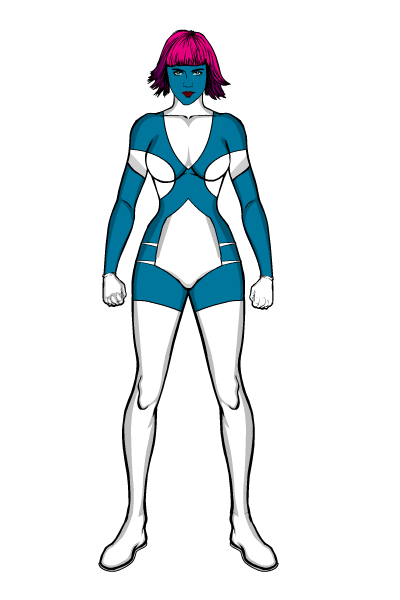 Young heroine with the mutant ability to alter her buoyancy allowing her to run over water and ice. She patrols the seas of northern Japan and protects the local crab fishermen. Ienai. Buchy Adebayo. Plasma absorption and blasts. Imperial. Everett Roth. Master swordsman, superhuman endurance, agility, stamina, strength, reflexes, speed. 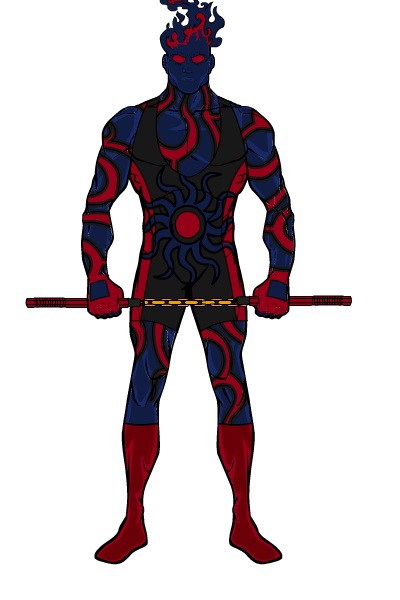 Former villain, now a member of the Redeemed. Ivory. Another member of the Millennial Horde. She’s a teleporter. Jaguara. An orphaned girl in the Amazon jungle, who was adopted by a local tribe. She was trained in battle and became her tribe’s protector. Jericho. He is not your usual superhero. He doesn’t have secret headquarters or wear a flashy costume. He has a voice powerful enough to level buildings, but he has learned to focus it to be very precise with the damage he causes. He is a vigilante. 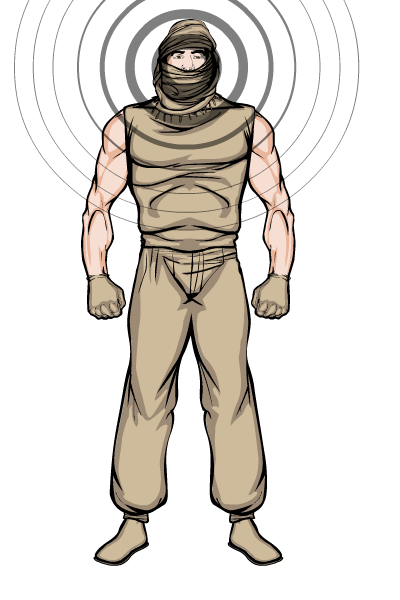 He wanders throughout the world fighting criminals, trapping them beneath collapsed walls or in other structures and leaves town before the smoke clears. One of his latest adversaries was a dashing thief known as Bandit. When he apprehended the petty thief/antihero, he was noticed by Guardsman of the Squadron Prime. But as is his style, Jericho vanished before Guardsman could approach him. Jules Burke. No superpowers. Legal council for the Squadron Prime. June. 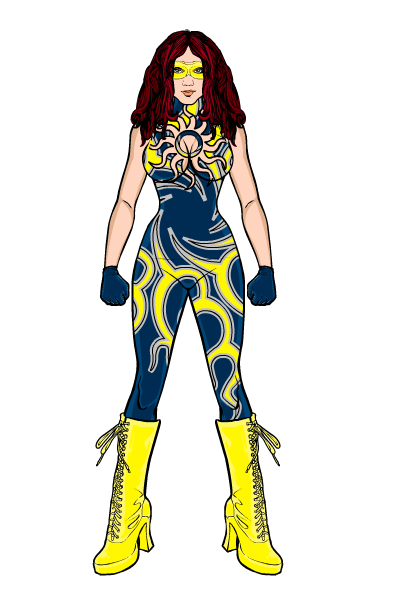 One of three headhunters for the Arena of Champions personally recruited by Charlotte Chase to kidnap targeted superhumans. K3-L2M1. 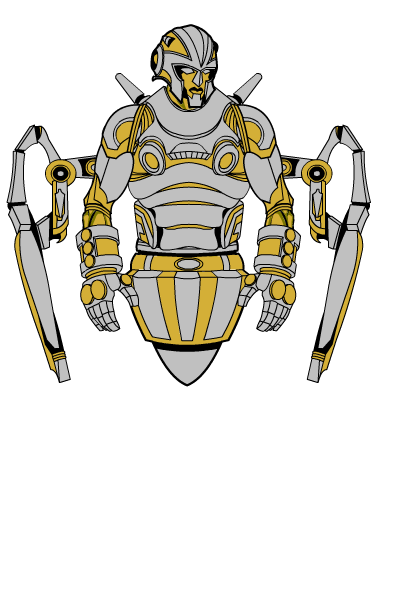 Robot sentinel of the headquarters of the Squadron Prime. Kaos. One of the mysterious Elementals. Controls random probabilities. Kubernan. Simon Cantwell. Member of the Squadron Prime. Mutual attraction to Union Jill. Kukri. Isabel Reyes. This mysterious warrior is so named for the kukri blades she attacks with. Enemy of Crimson and the Kunoichi. Ally of Cyrus and Royale. 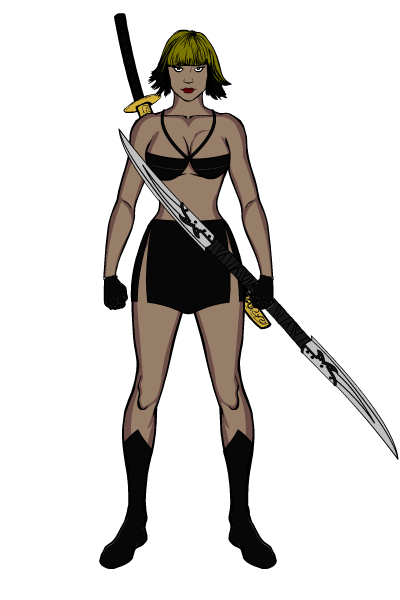 Kunoichi. Amanda Davis. Enhanced physical abilities. 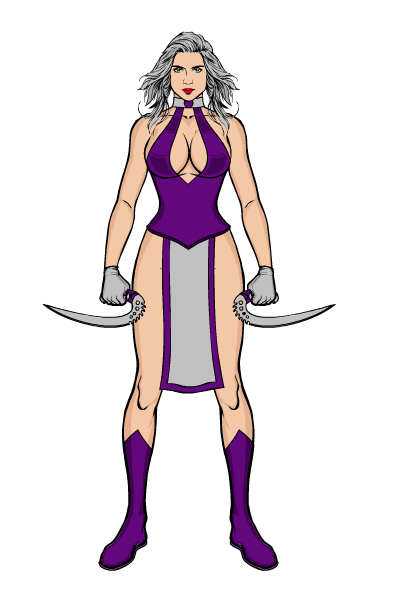 Former leader of the assassin group which has since stole her name. Lady Luck. Michelle Morgan. 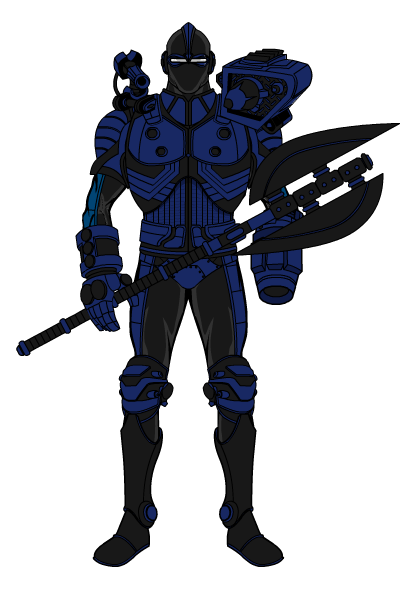 A member of the Squadron Prime. Best friend of Vanguard. Love interest of Guardsman. L’Aile. Emilie Beauvais was born in Marseille, France. 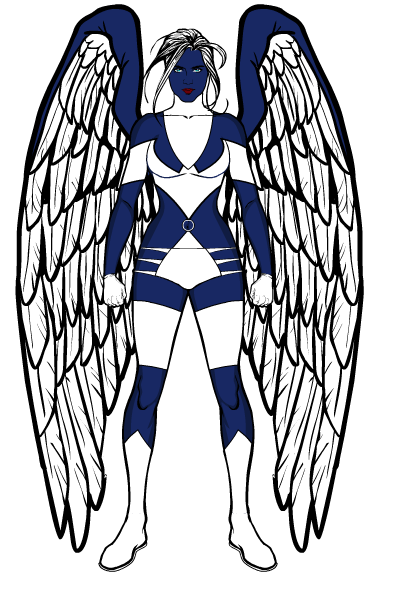 When she turned 13, she discovered she had sonic powers which she used to make wings for herself. She is also an excellent archer. 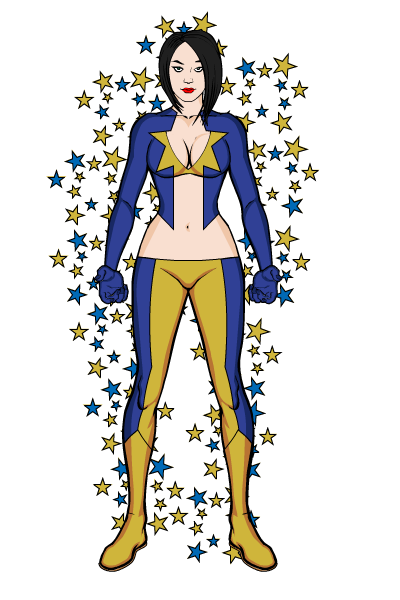 When she turned 18, she was recruited by a pair of American superheroines. She now represents the French as a member of the Global Girls. L’Aile means the Wing. Lamina. Vanessa Brown. Member of the Sisterhood of the Shadow. Maiden. Madeline Smythe. Member of the Ladies of the Realm. Marathon. Lisa Carter. Muscles never tire due to lack of lactic acid buildup. Member of New Force. Maryne. Katie Reily. Ichthyopathy, the ability to telepathically communicate and control all forms of aquatic species. Mayhem. Monica Casile. 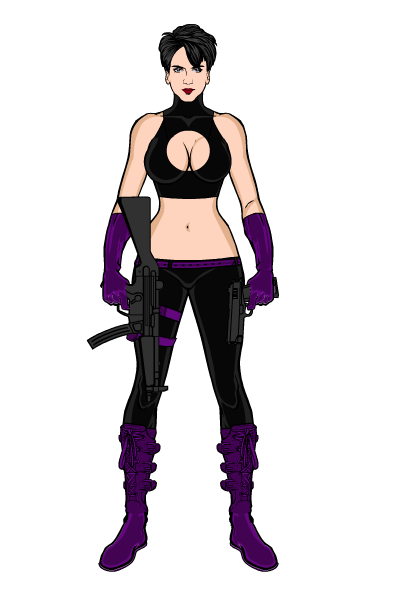 Leader of the Sisterhood of the Shadow assassins group. May. 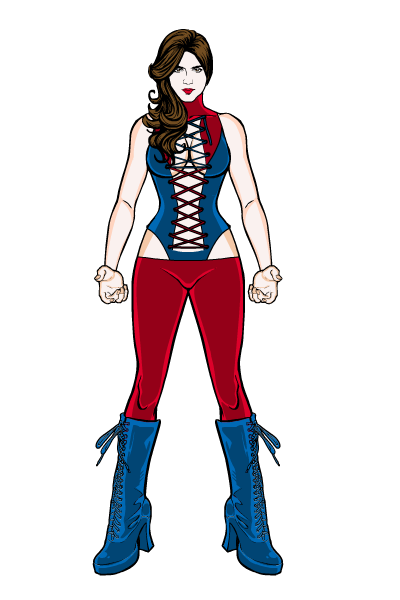 One of three headhunters for the Arena of Champions personally recruited by Charlotte Chase to kidnap targeted superhumans. Mercy. Formerly known as Laura Mitchell. Died in a car accident three years ago. Resurrected and transfigured as an angelic fighter. 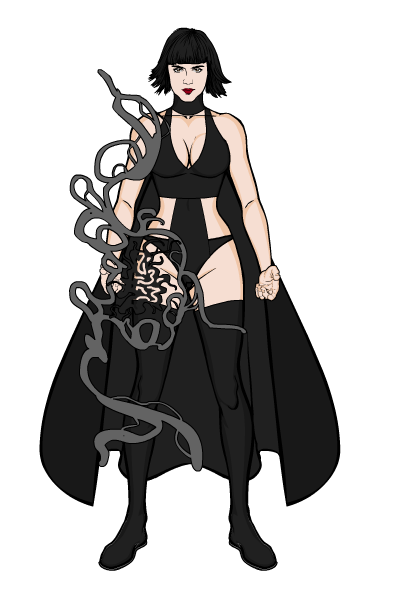 Former wife of Darkbird, though unbeknownst to him. Metyl. Jennifer Powell. Ferrokinesis. 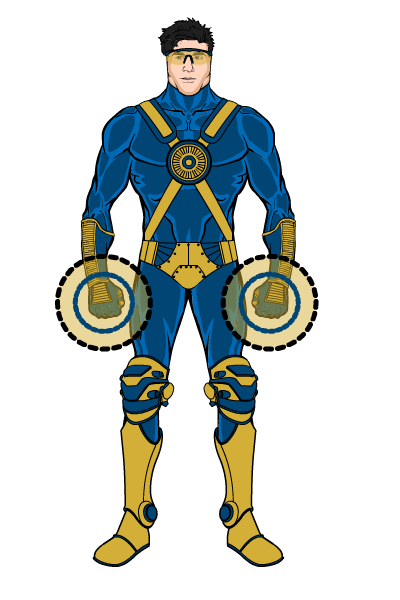 The ability effortlessly levitate, attract, bend, and warp ferrous and other metal objects. Miss Independence. Lana Graham, along with her partner and best friend Colleen Clements, a.k.a. 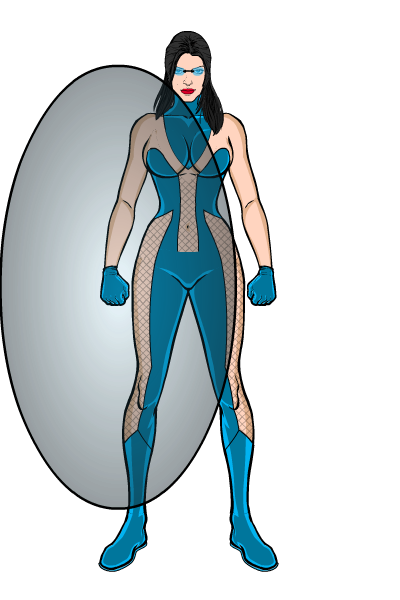 Miss United, are two former beauty pageant winners-turned Marines-turned superheroines. After leaving the Corps after the death of their mentor in Afghanistan, the pair of bombshells decided to serve America on their own. 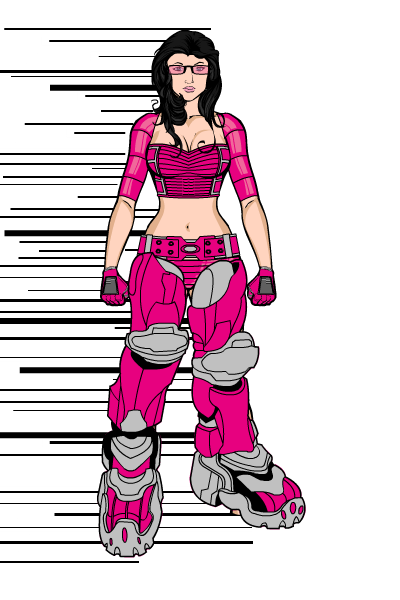 Soon realizing they needed more of a global vision, they began to recruit female warriors for their team, the Global Girls. 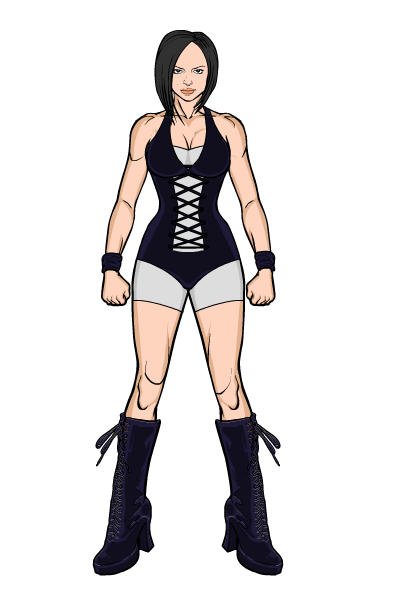 Miss Independence is deceptively strong and is an world-class martial artist. Sister of Vixen. Miss Mapleleaf. The partnership of Miss United and Miss Independence decided they needed a more global vision. Their first recruit was Hallie Rousseau of Vancouver. 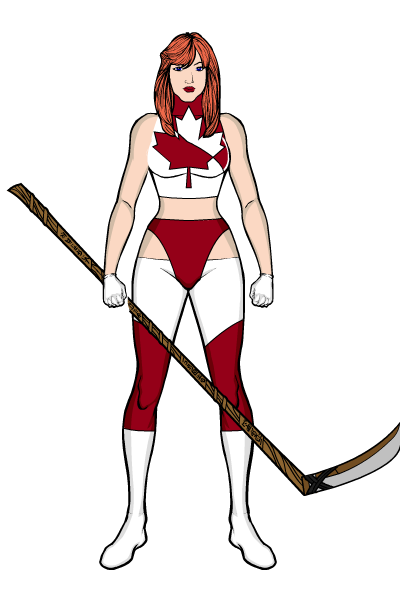 Armed with a super speed, hockey stick and a wicked slapshot, the newly-anointed Miss Mapleleaf and the rest of the Global Girls fight evil around the world. They show that women can be tough and beautiful at the same time. They hold no extreme-feminist agenda, but are just a group of powerful ladies do what they can to make the world a better place. 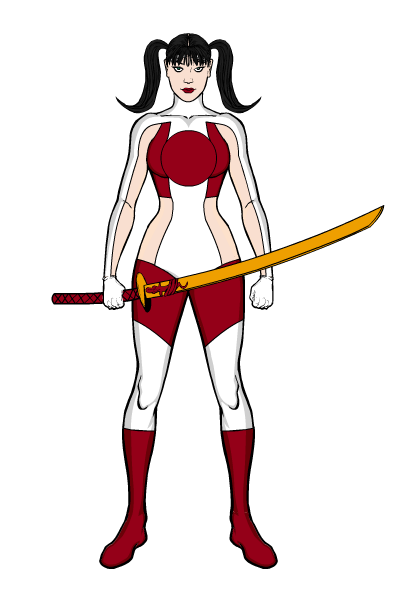 Currently in a relationship to teammate Rising Blade, making her the target of the jealous Sai. Miss United. Colleen Clements, along with her partner and best friend Lana Graham, a.k.a. 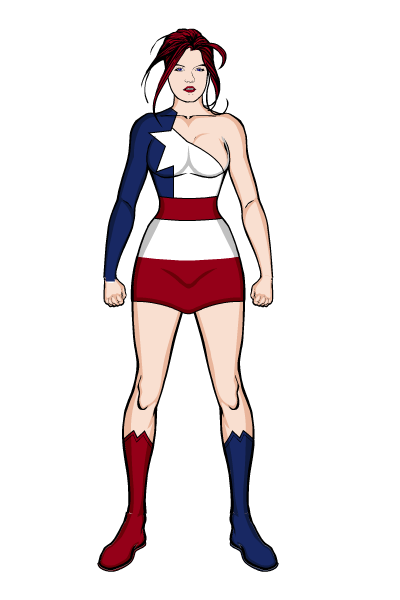 Miss Independence, are two former beauty pagent winners-turned Marines-turned superheroines. After leaving the Corps after the death of their mentor in Afghanistan, the pair of bombshells decided to serve America on their own. 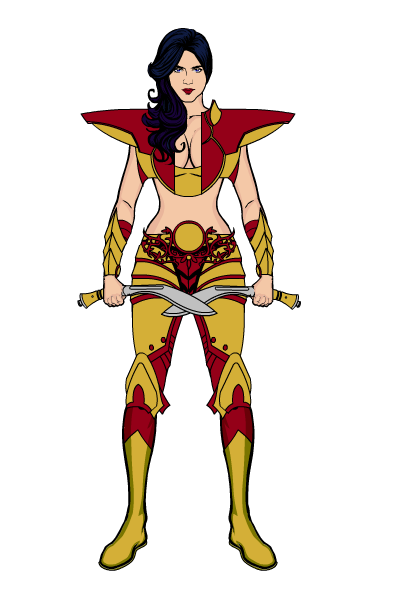 Soon realizing they needed more of a global vision, they began to recruit female warriors for their team, the Global Girls. 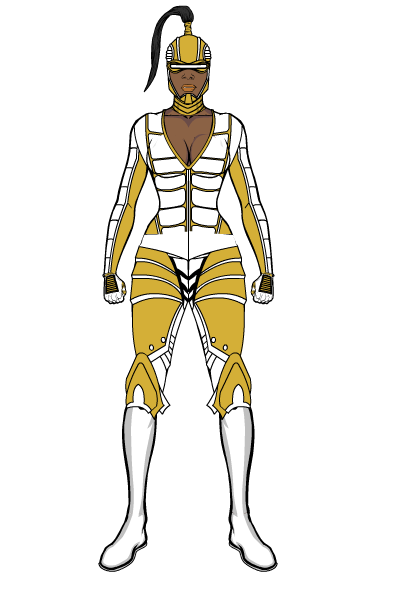 Miss United has superhuman speed and agility and is an expert hand-to-hand fighter. Moonlight. Aiza Guttierez. Sister of Springtide. Power charges at night when exposed to lunar rays and has limited power during daytime. Uses her powers to augment those of her sister. Natura. Sammie Regan. Plant manipulation and geokinesis. Nautilia. Aquatic hero. Grows stronger the longer she remains in the water. Newton. Jeff Larson. 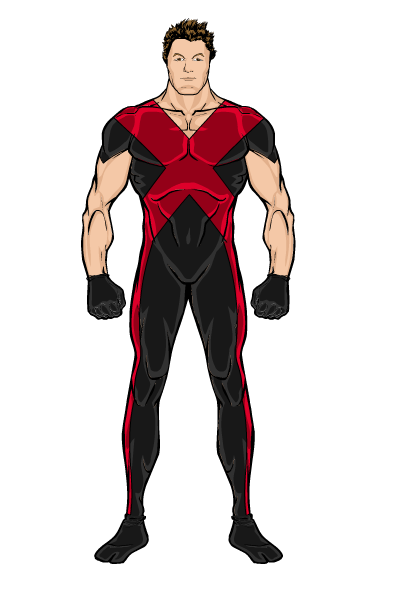 A young mutant with the power of gyrokinesis, which is the ability to mentally manipulate gravity, allowing him to increase or decrease the effects of it around any desired area, to make objects extremely lighter, heavier or to even crush things by compressing them with intense gravity. He can also shift his center of gravity and defy it, by walking up walls, jumping up to extreme heights, gravitating objects and subjects to/away from him. Nightblade. Jolene McDowell. An assassin, as evil as she is beautiful. Nightlight. Danielle Weil. Cousin to Flourish. Bioluminescence. Nightvision. Barbara Kent. Precognitive dreaming, which is the power to see the symbolic flashes of the future in your sleep. Odyssey. Gwendolyn Buckley. 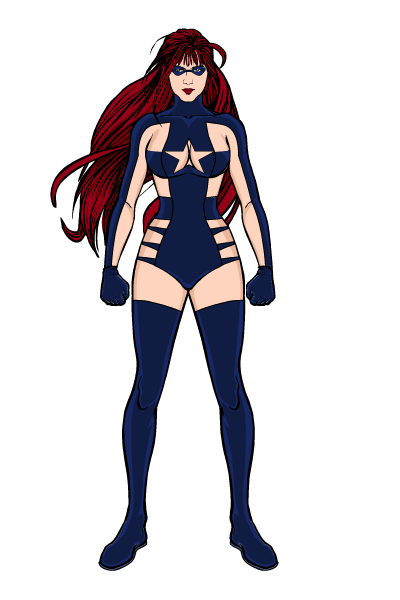 A young spy with a special talent of retrocognition which allows her to see psychic vibrations left behind by others in a specific area in the past. By recalling person-specific vibrations, she is able to piece together a sequence of places a person has been. 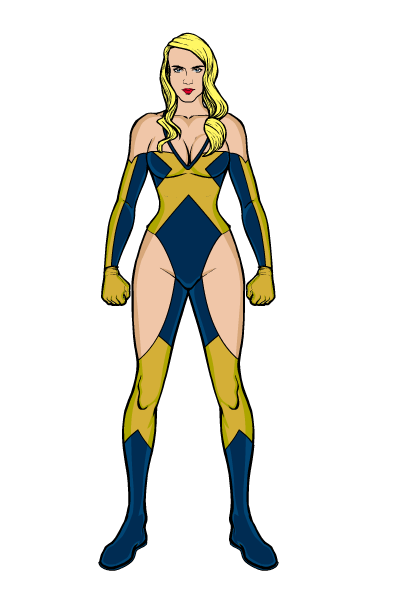 She is a known ally of several superhero teams and heroes, as well as local law enforcement. Opal. Aisha Chen. 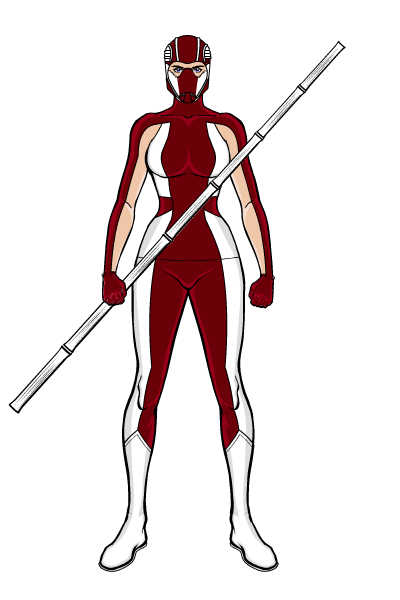 A member of the Kunoichi. Osprey. Hoyt Perkins. A retired member of the Squadron Prime and partner of the Delegate. 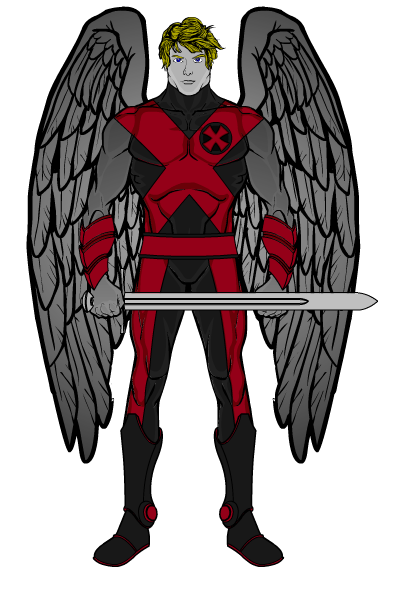 Mutant wings and enhanced eyesight. Palette. Bobbi Haven. Generation and manipulation of various forms of energy, each of which have been subconsciously associated with a different color. Parkour. Levi Orosco. Expert freerunner. Superhuman speed, agility, reflexes, dexterity. Member of the Heroes of Tomorrow. Pelagios. Member of the Squadron Prime. Amphibious abilities. Poise. Tiffany Reed. Perfect balance. An aspiring young hero who dreams of joining the ranks of the Squadron Prime. Member of the Heroes of Tomorrow. Prowl. Claudia Vega. A superstrong fighter in the Arena of Champions. Putty. Gwendolyn Hall. Shapeshifter. Member of New Force. Pyper. Ruth McNiven. A young heroine from Glasgow, Scotland. 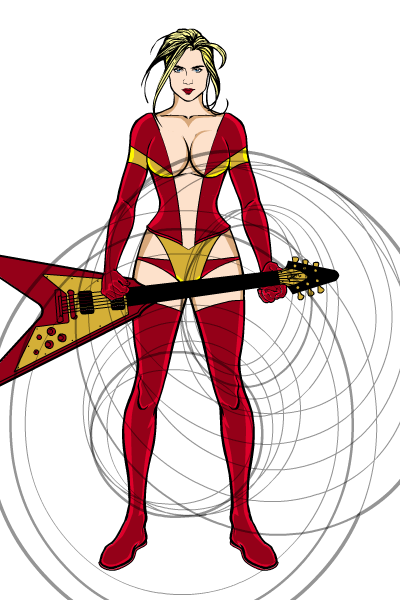 A marvelous singer who uses her sonic powers to project powerful blasts of sound. Queen of Diamonds. Pamela Diamond. Alters probability fields. Queensize. Mini Thompson. Size and mass control. Recharge. 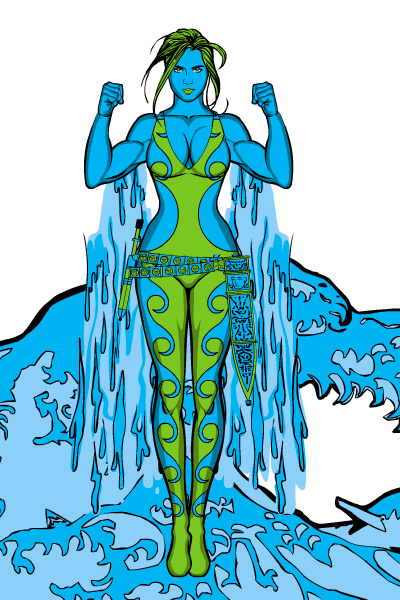 One of the mysterious Elementals. 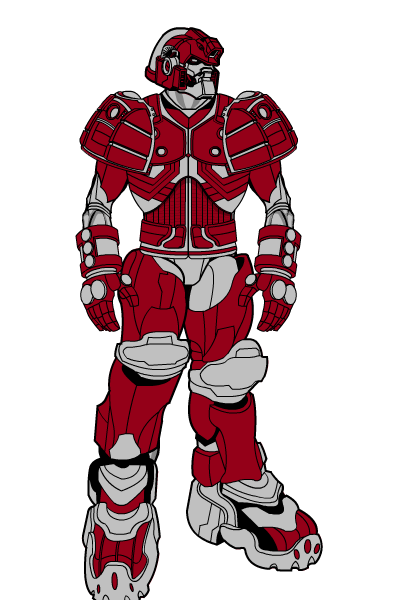 Red Titan. 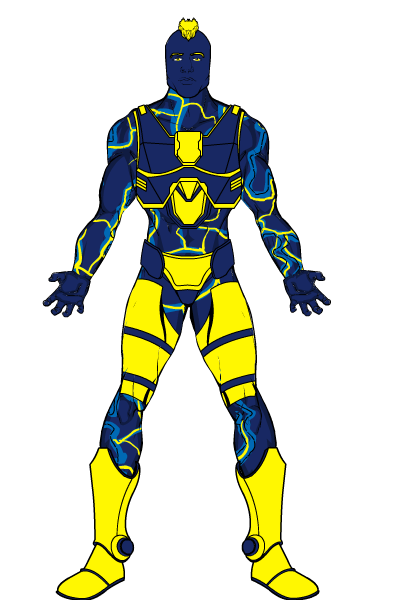 Cybernetic technopath. Leader of the Millennial Horde. 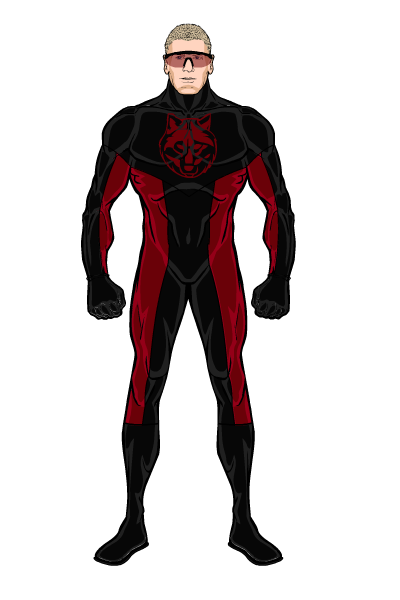 Redstreak. Julie Hendricks. Member of the Squadron Prime. Engaged to Tychos. Riding Hood. Rita Horn. 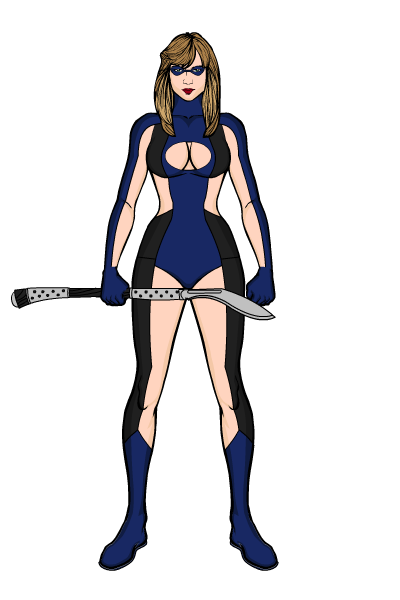 A vigilante is finds herself on both sides of the law at times, that is, when sheâ€™s able to be found at all, as her cloak makes her invisible. 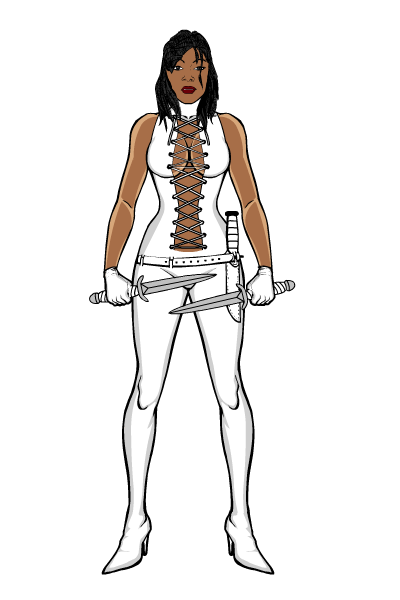 She attacks thieves and other criminals from seemingly nowhere with her daggers. Riff. Sadie Rowland. The power to generate physical energy and channel it through your guitar strings, thus producing concussive force blasts. Rising Blade. Naomi Sato. Japanese member of the Global Girls. 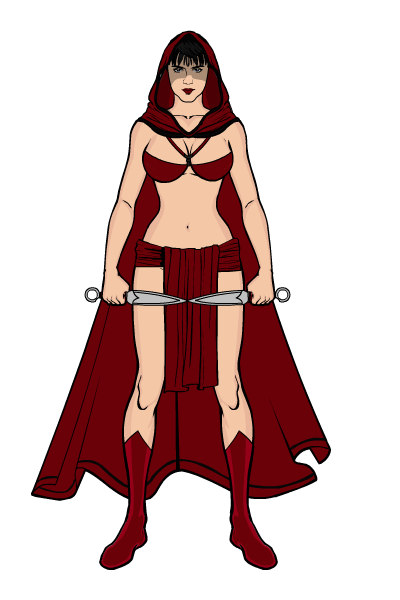 Former lover of the hero-turned-assassin Sai of the Sisterhood of the Shadow. Currently in a relationship with teammate Miss Mapleleaf. Rocketess. Claire Secord. 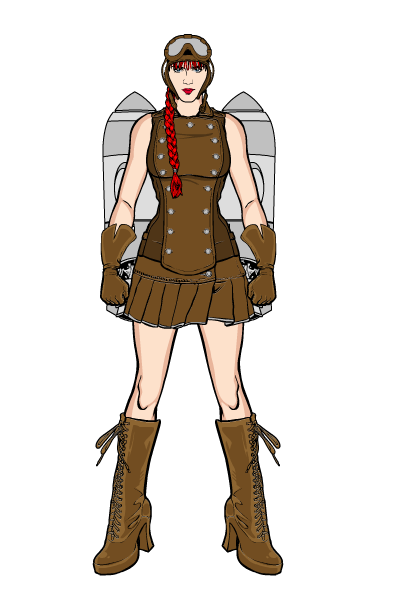 Jetpack-propelled heroine. Royale. Crystal King. 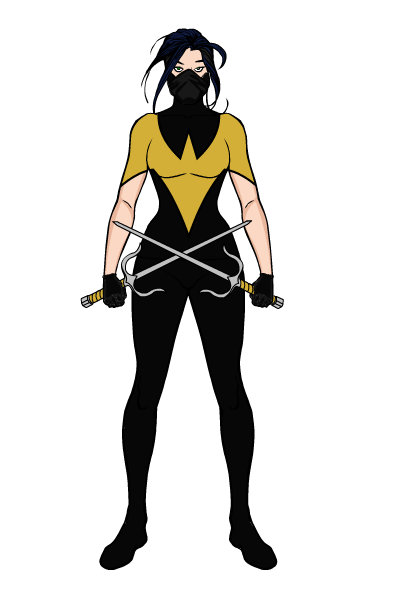 A vigilante warrior who is deadly with her hook blades. 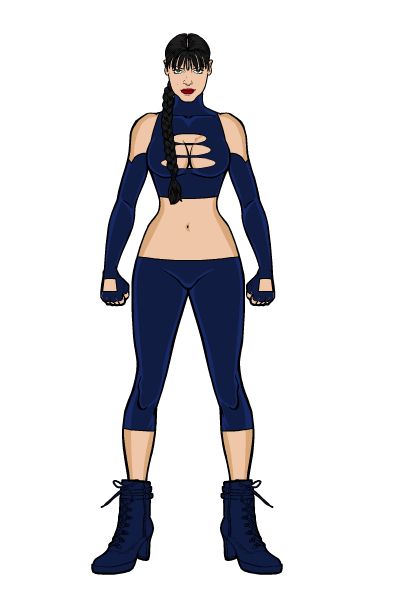 Former member of the Kunoichi. Sabre. Blake Sellers. Dual lightsabres. Member of Heroes of Tomorrow. 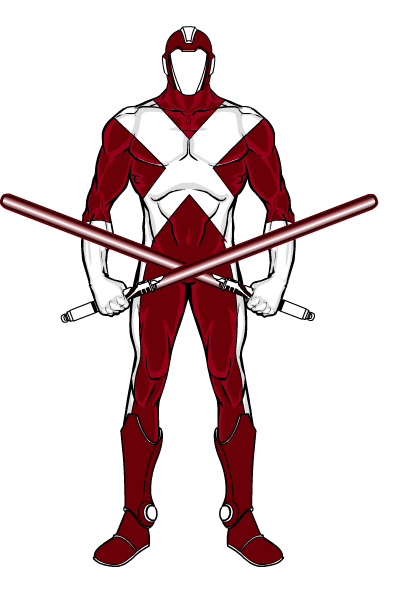 Reserve member of Squadron Prime. Safeguard. Rebecca Mills. Invisible force fields. Sai. Talia Prince. Hero-turned-villain. Member of the Sisterhood of the Shadow. Ex-lover of Rising Blade. 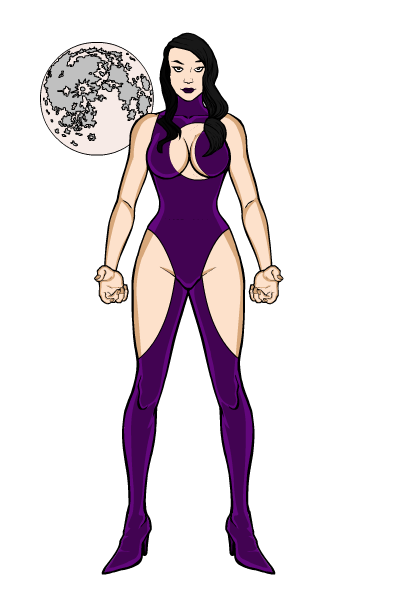 Selina Pierce. Expert knife fighter. Member of the Agents of Change. Former government operative who followed Solomon Cade when he resigned. Sentinel. Bill Frye. Retired member of the original Squadron Prime. Seraphim. Warren Joshua “Jay” Worthington. 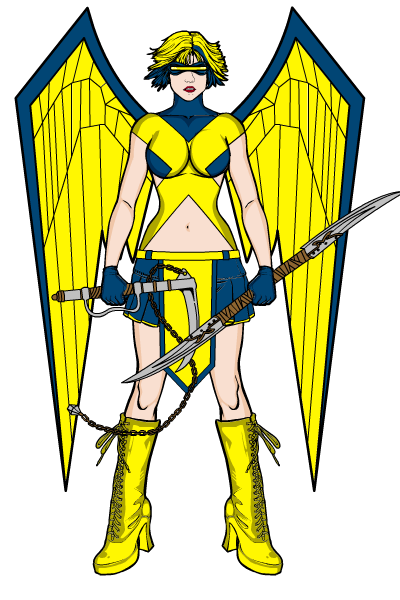 Son of Warren Worthington III (Angel) and Paige Guthrie (Husk) of the X-Men. Called Jay in honor of his late uncle, Joshua “Jay” Guthrie (Icarus). 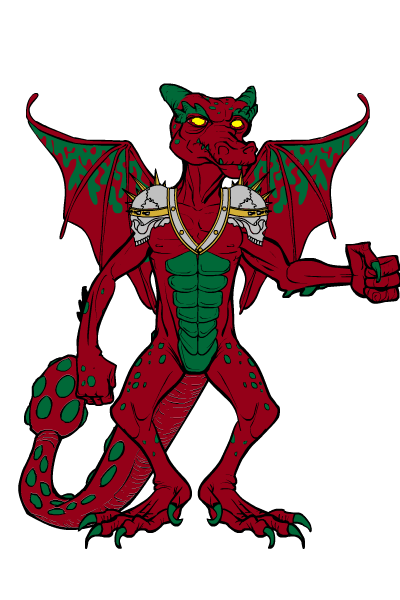 Has the flight and healing blood of his father, as well as the ability to flash fry his outer skin revealing either a layer of steel, rubber or rock. 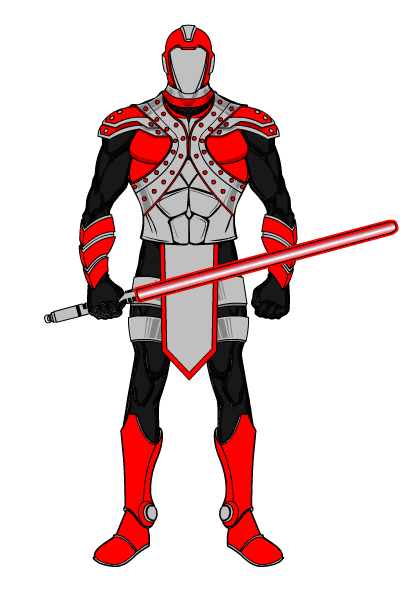 Also carries a sword similar to the one his father stole from Magik of the Exiles. He has his father’s fortune but his mother’s political conscience. Member of Heroes of Tomorrow. 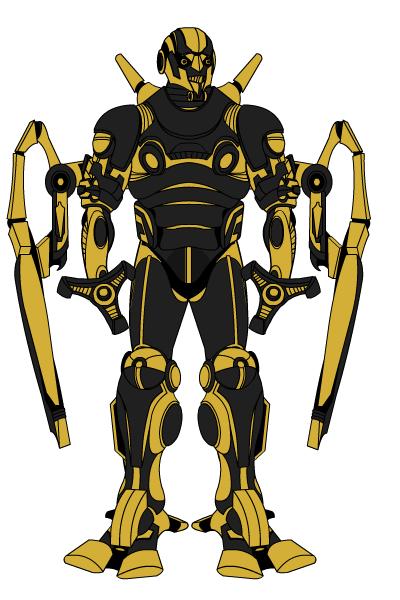 Reserve member of Squadron Prime. Seraph. Kimberly Cole. Member of Heroes of Tomorrow. 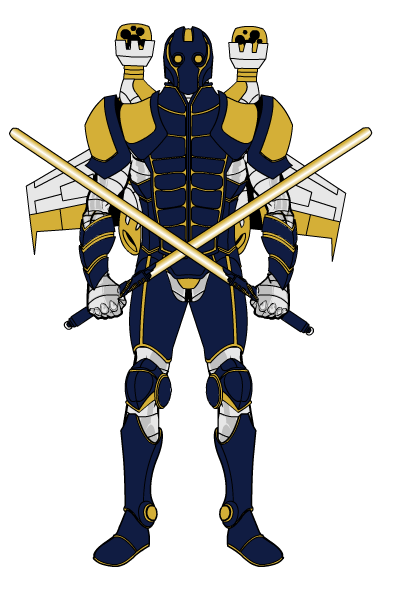 Reserve member of Squadron Prime. Shadowrangler. Chantelle Greinke. Darkness manipulation. Shatter. Gretchen Corolla. A superstrong fighter in the Arena of Champions. Sheer. Mandi Marks. Invisibility and generation of force fields. Former thief, now a member of the Redeemed. Shortcut. Kirsten Evans. Generation of teleportation portals. Member of New Force. Siege. Abraham Wilkinson. 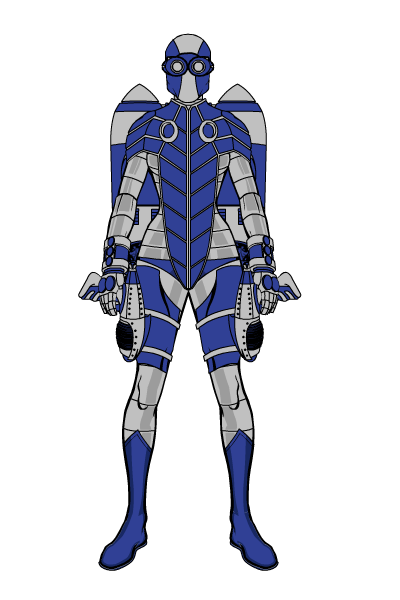 Titanium armor. Various cybernetic weaponry. Enemy of the Redeemed. Silk. Karen Park. Martial artist. Dual tonfas. 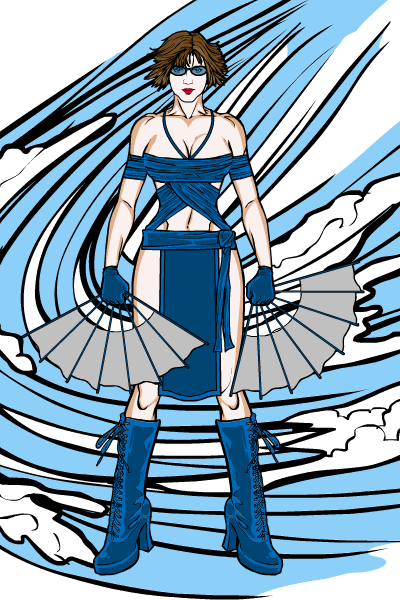 Member of the Kunoichi. Silver. Johanna Silver. 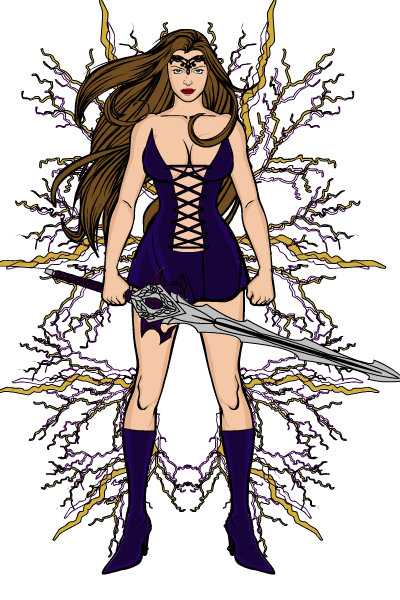 A bladed warrior. Skills. Mercedes Jayne. Skill and knowledge mimicry. Sleepwalker. Kera Lea. Oneirokinesis, which is the ability to manipulate dreams. Sneak. Theresa Jennings. A super crafty fighter in the Arena of Champions. Snow Angel. Ingrid Baldurdottir. She flies due to natural wings. She also commands the cold. She is the sole protector of Scandinavia. 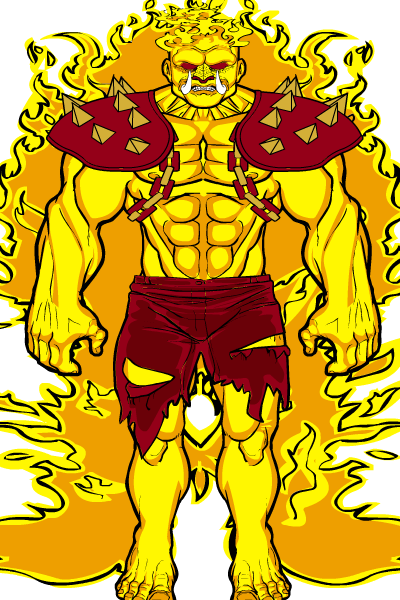 Solomon Cade. 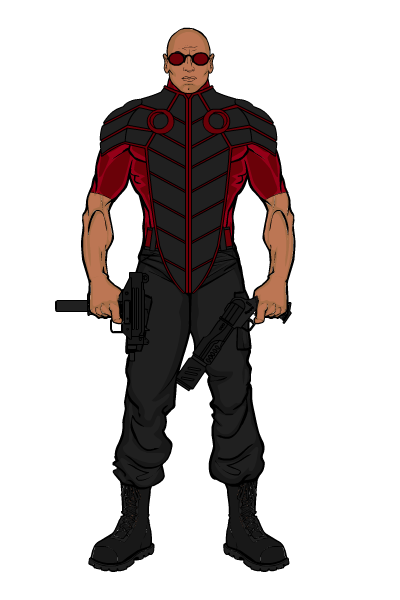 He is a martial artist, a telepath and is proficient with all kinds of firearms. Leader of the Agents of Change. Former government operative who left his agency after discovering that the a foreign power was using American-given aid to fund super villains. He now works to subvert those villains, that foreign government and their American allies. Spotweld. James Kyle. He’s a welder for a construction company. 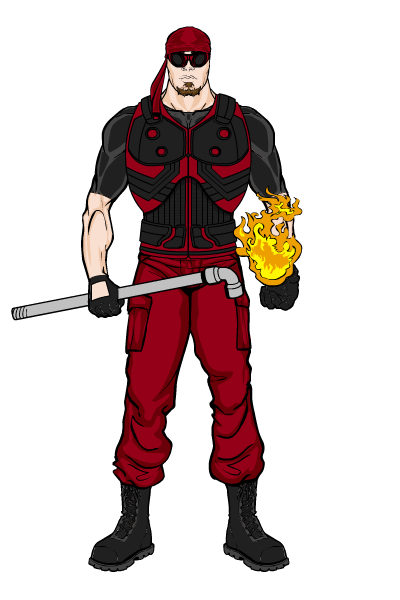 He uses his pyrokinetic abilities to act as a human blowtorch. Springstep. Mitch Jefferies. 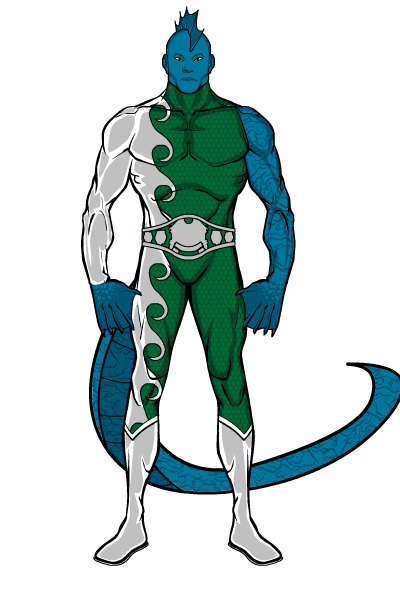 Extreme superhuman elasticity, malleability, shape shifting and endurance. Springtide. Jaye Guttierez. Sister of Moonlight. 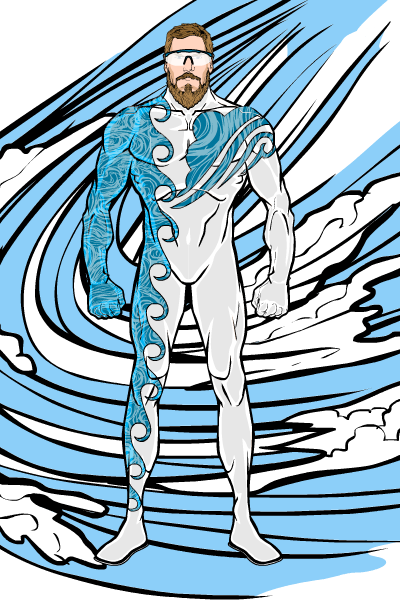 Hydropsychic form and hydrokinesis. St. John. Shawn Grenier. Generation of one end of a teleportation portal. 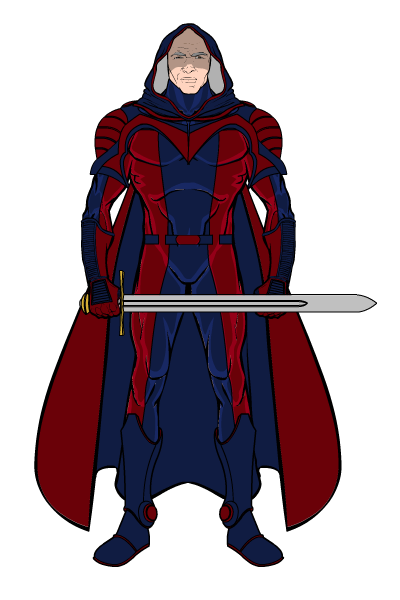 The other end is generated by his wife, Avalon. Stalwart. Deanna Stone. Rock-hard skin. Super strength and endurance. She is unsure as to best use her newly-developed abilities. Starrunner. Angelica Tran. She can fly through space. Fire bursts of cosmic energy. And all that cosmic stuff. Ally of the Angels. Static. Meredith Sharp. A villain who commands gray matter bolts. Steelhawk. 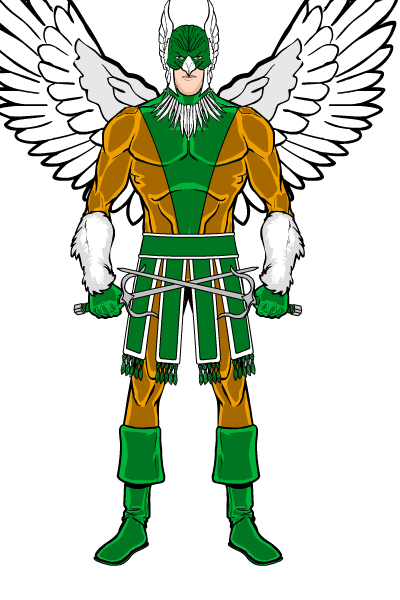 Flying member of the Millennium Horde. Additional information classified. Stratosphere. Jerry Gale. Wind and atmosphere manipulation. Streak. Marissa Cobb. A superfast fighter in the Arena of Champions. Stunner. Stephanie Miller. Unstoppable kinetic energy. Member of the Redeemed. Sundown. Tanya Silva. Member of the Sisterhood of the Shadow. Sunshine. Sally Paige. She controls solar energy. Member of New Force. 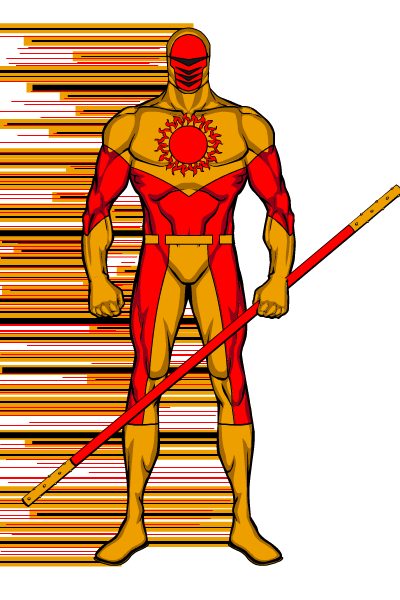 Sunstreak. Gabriel Santos. Runs on solar power. Literally. Member of the Redeemed. Superstar. Ursula Andrews. Master acrobat and super strength. 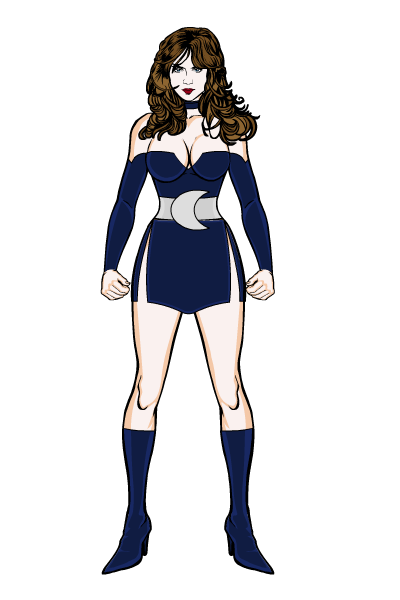 Reserve member of the Global Girls. Swift. Whitney Hawkins. 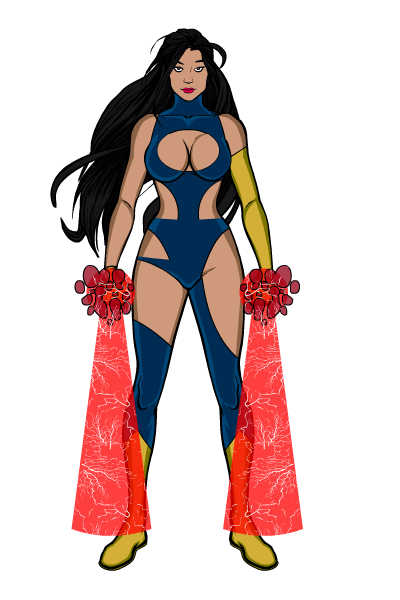 Superspeed due to her cybernetic legs. Tania. Empathic alien cousin of Aviana, Ettia and Haliya. Member of the Angels. Temperance. Danni Haas. 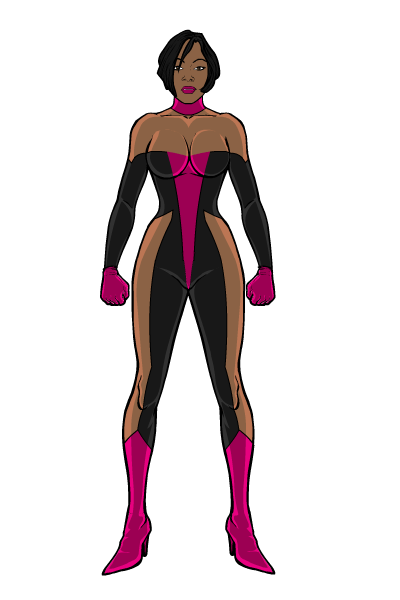 She has super strength and agility but every time she over exerts herself, her immune system shuts down, leaving her extra vulnerable to common illnesses. Member of New Force. Temptress. Victoria Wagner. A superstrong fighter in the Arena of Champions. Sylvia Kane. Former government spy, now a member of the Agents of Change. Recruited by Solomon Cade after he resigned. 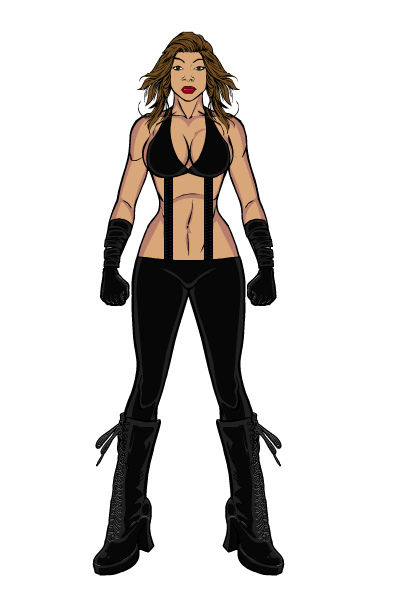 Expert spy, martial artist and with firearms. The Spider. Michael Jones. 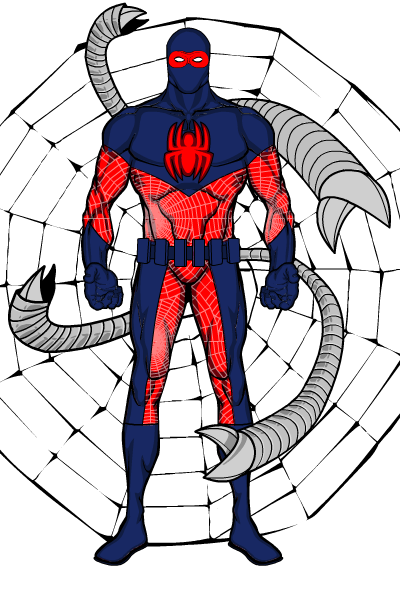 Along with his brother, Robert, one half of the villainous Arachnid Bros.
Thunder. 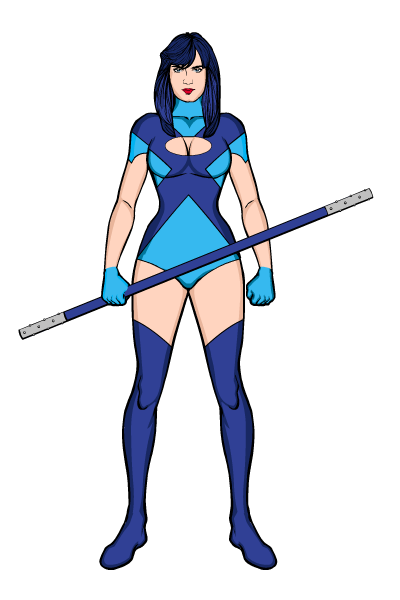 Felicia Storm. 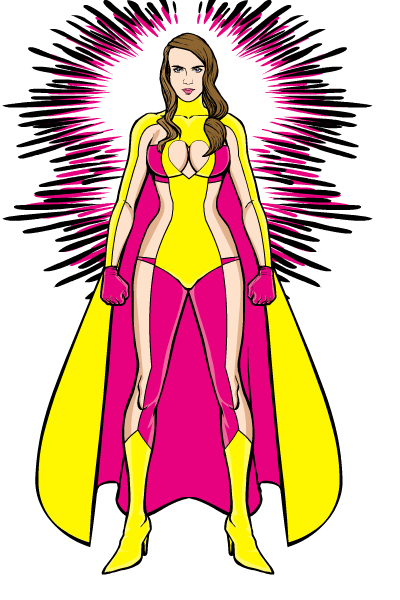 Super strong heroine with electricity based powers. Enemy of Static. Tranquility. Alicia Ward. She is silent when she runs. Member of the Redeemed. Turbo. Molly Flynn. 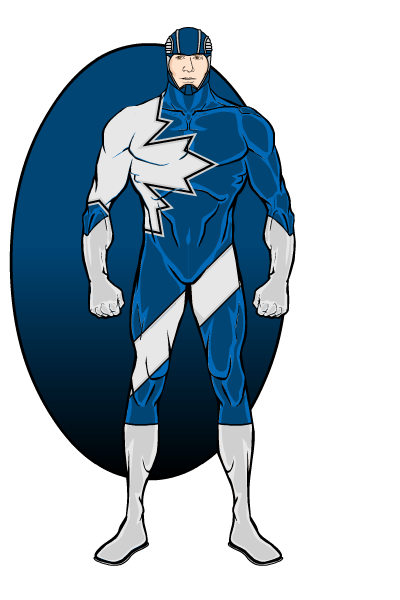 Flight, super strength, invulnerability. Ally of the Squadron Prime. Twirl. 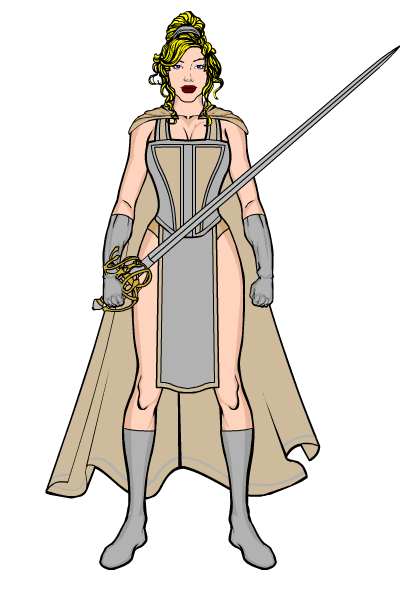 Cassandra Bell. Expert acrobat. Superhuman agility and balance. Member of the Redeemed.